— … are you listening to me? — I’m trying. I really am. — … Lyssnar du på mig? 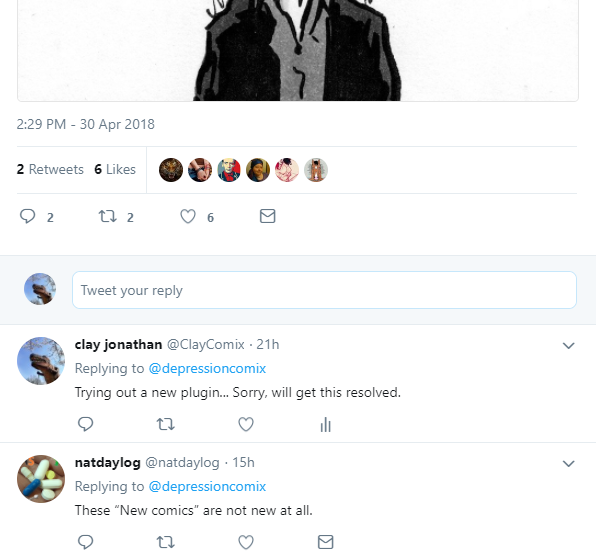 Why are you tweeting these old comics as “New comic:” ? Are YOU listening to comments and twitter replies? Your reply was not visible at my end when I tweeted mine.